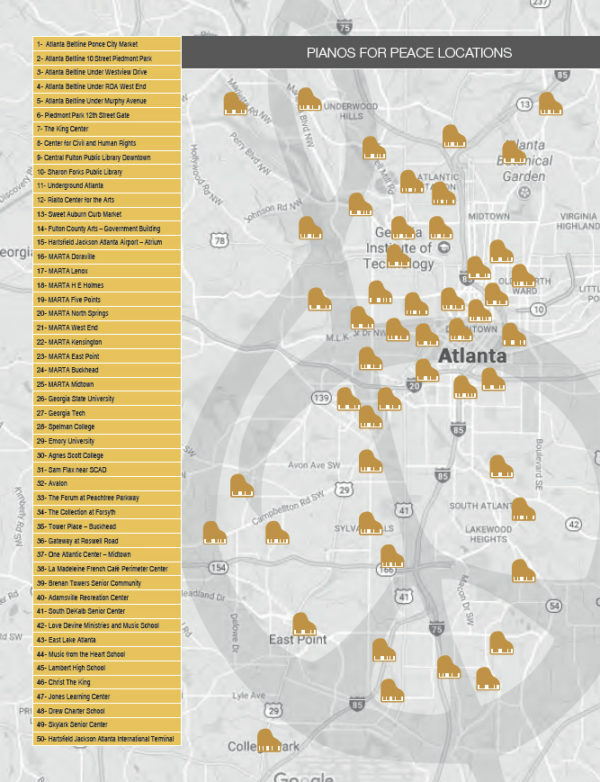 From now until Sept. 22, passersby are invited to enjoy the music of 50 colorful pianos scattered across metro Atlanta. The nonprofit Pianos for Peace has placed these pianos in various locations and is planning to donate them when its 2018 festival ends. 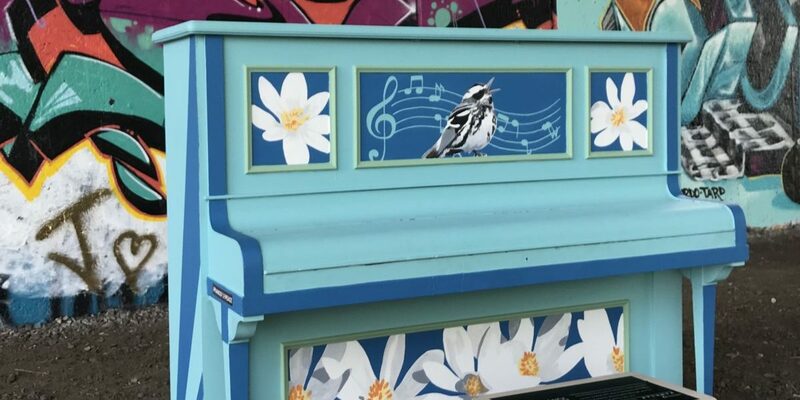 You can find some of the pianos along the Atlanta BeltLine, in Peidmont Park, at The King Center and near some public libraries and MARTA stations, according to the website. The pianos were painted by volunteer artists. Some were local, and some were international, according to a press release. If you download the Pianos for Peace app, you can read more the artists and their work and see the pianos’ locations. Smith said a professional piano tuner will keep the pianos in check throughout the festival. Their hope is that the music will unite members of the community. “It’s a reinforcement of our main goal and mission, which is, ‘build peace through music and education,’” Smith said. After the festival, the pianos will be donated to local health care facilities, schools, nursing homes and other community centers, according to the press release. “We are actually very, very proud of the fact that last year, we at least had one or two public schools to which we donated pianos were able to restart their music program because they now had a piano on site, whereas, before, they didn’t have a piano, much less, very many instruments at the school,” Smith said. Smith said a closing ceremony will be held in the atrium of the Hartsfield-Jackson Atlanta International Airport on Sept. 21 — a day before the festival ends. The ceremony is open to the public and will feature music, of course, and celebrate the International Day of Peace.